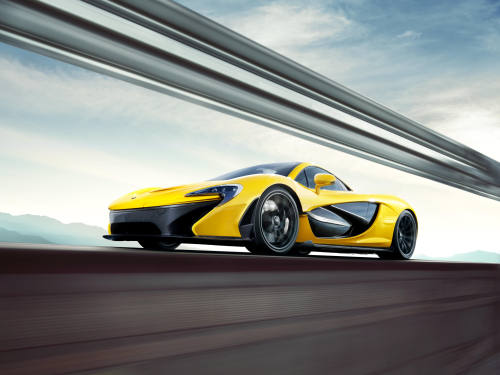 McLaren Automotive has released the final facts and figures for the McLaren P1™ ahead of the car’s global launch at the 2013 Geneva Motor Show. Following the company’s global launch in 2010, UK-based McLaren Automotive introduced the 12C and 12C Spider. In line with its plan to introduce a new model each year, it unveiled a McLaren P1 design study at the Paris Motor Show in September last year. McLaren has announced a production number of just 375 units for the P1. The car will cost from £866,000 on the road, with a specification that equips it for both road and track use. The McLaren P1 boasts acceleration figures of 0 to 100 km/h in less than 3 seconds; 0 to 200 km/h under 7 seconds; and 0 to 300 km/h in no more than 17 seconds. Its top speed is electronically limited to 350 km/h. The car will launch at the Geneva Motor Show, 7-17 March.